David and Shari Lombardi, of Lombardi Properties will host a Roving Cocktail Tour highlighting a collection of Wynwood area businesses which are owned and led by women. The event will take place on Wednesday, April 24th, from 6-8 pm. 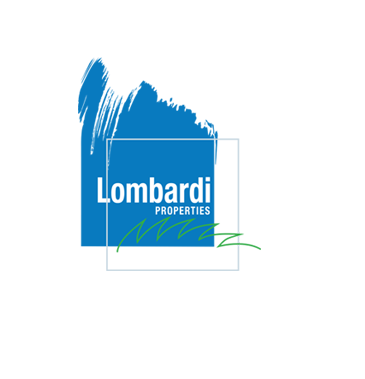 Guests will meet at Lombardi Properties’ spectacular new office building, located at 160 NW 26thStreet, Suite 201, Miami, FL 33127. Attendees will enjoy food and drink, as well as a tour by David Lombardi, with discounts being offered by many retailers. Cost to attend the event, which is open to the public, is a suggested $25 donation, with all proceeds to benefit Lotus House, a Wynwood-based non-profit that helps women and children. To RSVP for the event, please contact Melissa Velez at melissa@lombardiproperties.comor 305-695-1600. Founded in September 2016, this flagship shop offers a seasonal variety of delicious, handcrafted 3” mini pies with 10 options daily. There are savory and sweet flavors (Key Lime and Oreo Nutella are staples) as well as vegan and gluten free options. Paloma, 27, originally from Brazil, is a classically trained chef (Institute of Culinary Education in Manhattan) with Michelin star restaurant experience (Ai Fiori in Manhattan). She holds a Masters in Hospitality Management from NYU. The boutique features trend-setting clothing, shoes, accessories and jewelry for women; clothing and accessories for men as well as home goods and gifts. Merchandise – colorful and eclectic – includes many international brands and designs by local artists. Most items retail for under $100. The business was founded in 2014 by two friends who met in the fashion program at Florida State University. Leilani, 33, and Lisa, 35, moved to their current location in January 2019. Leilani: “Wywood reminded us of Brooklyn, with true “mom and pop” stores. We cater to creative young professionals, returning tourists and supportive locals. Seeing this neighborhood blossom with many women business owners is truly inspiring. We all complement one another and have created a great support system. Featuring curated swimwear and active apparel for the modern woman (of all ages) as well as fitness classes and community-oriented events. Best seller: a “mushy cozy long-sleeve sweatshirt” ($88). Sharing space at EightSpace: Yoko Matcha (owned by 27-year old Chie Dambara) – a concentrated green tea/coffee replacement, the first Matcha in Miami. A Boca Raton native, Brittany, 30, gained experience in retail and visual merchandizing in New York, while working for a national chain. Self-supporting for many years, she was encouraged to open her own shop by fiancée Daniel Lombardi. This urban gallery features young and established worldwide artists of street art and hosts performances and exhibitions to promote artists in the American art market. The artists show their works on canvas, drawings, photos and sculptures. Valeria, 55, was born in Italy and raised in Brazil, where she and her husband had a gallery. They moved to Miami in 2014. San Paul Gallery opened at its current site in September 2018. Helping brides of all ages and sizes to express their unique individuality and feel their most beautiful and confident selves on their wedding day. Lovely Bride offers a curated selection of gowns by designers from around the world. Styles are modern, romantic and sophisticated, with clean lines and detail in structure, including everything from bohemian laces and silhouettes, edgy modern solid looks to soft romantic gowns. Prices range from $2,000 to $7,000. Founded in 2010, Lovely Bride has 17 U.S. locations; their Wynwood shop opened in April 2017. WYNWD offers an eclectic collection of curated merchandise that is representative of the area including: clothing for all ages, hats, t-shirts, denim jackets, custom sneakers, art/prints, shot glasses, artist books, pens, stickers and more – “memorabilia to take home to remind visitors of their experience in the area” says Brooke Lombardi, 24. After earning a degree in Business Management from Northeastern University (and with encouragement from her father, David Lombardi), she opened the store in May 2018. Current best sellers: a WYNWD “Smiley” hat ($36) and women’s crop top ($34). Coming soon: more artists’ collaboration on pieces. Brooke: “It’s a vibrant neighborhood. Shop owners are supportive of each other and want everyone to succeed. So far, feedback has been positive and it’s fun to see customers connect with the products in our store. In Antigua it’s all about looking fresh and effortlessly elegant all year round. The Venezuelan brand created by Silvana Isaacs, 32, is timelessly chic, designed to fit the body of every woman, regardless of age. It’s versatile and classic, but with a Latin edge. Handmade and ethically-made products include swimwear (a new collaborative designer collection is in the works), beachwear, clothing, shoes and accessories for women. There are also beach towels and shorts for men. Open in Wywood since 2017, the shop moved to its current location in February 2018. The flagship showroom features a stylish line of Peruvian-inspired beachwear, resort wear and loungewear for women of all ages in a resort-like setting. Products – made from Peruvian Pima cotton - are sustainably and ethically produced in Lima, Peru. Pitusa (“funny little girl” in Spanish) started out of CEO/founder Clara Lago’s bedroom in 2010. Originally from London, Clara, 31, attended college in Boston. She speaks English and Spanish. A Miami native, Manager Vanessa Bryan, 34, has an MBA and background in international sales. Pitusa opened in Wynwood in September 2018. The merchandise is also carried at over 300 stores worldwide.